Georgia purchased this piece from the woman who not only made the jacket, but more impressively wove the fabric. Her weaving skills were amazing, but her tailoring skills were not quite up to the same standard. Georgia wanted this piece to be a staple and didn’t want it to hide her body. 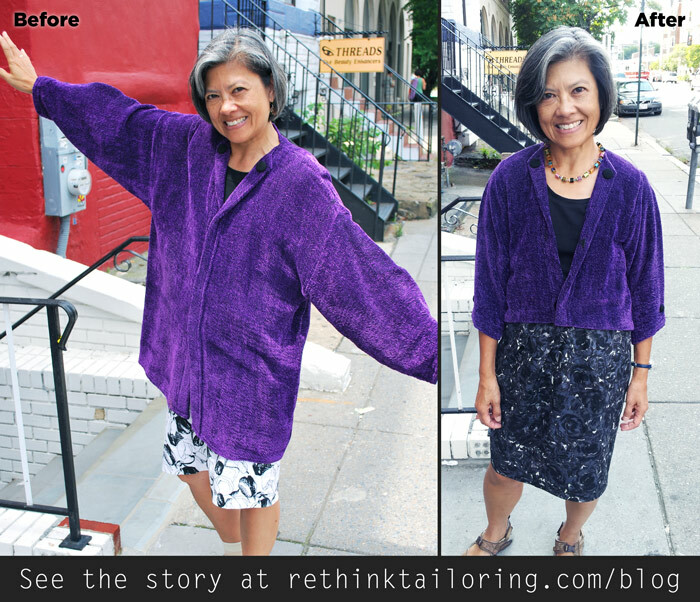 We decided to lose a handful of inches from the side, and crop the jacket in length and with 3/4 length sleeves. As you can tell, the trimmed-down version was a little more appropriate for her petite figure. ← Vintage dress revamp–you have to see this before pic!